Fluid dynamics is the science of studying fluids in motion. 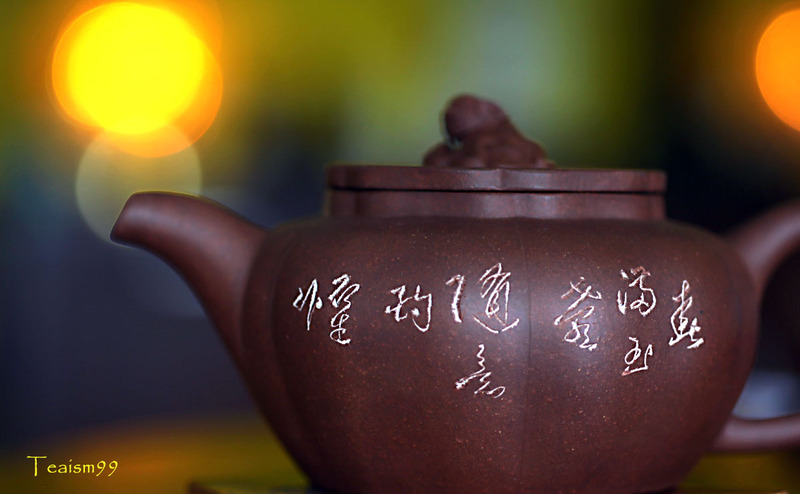 Although it has little to do with teawares, I always thought of this phrase when I see the carvings on yixings teapots and wares. 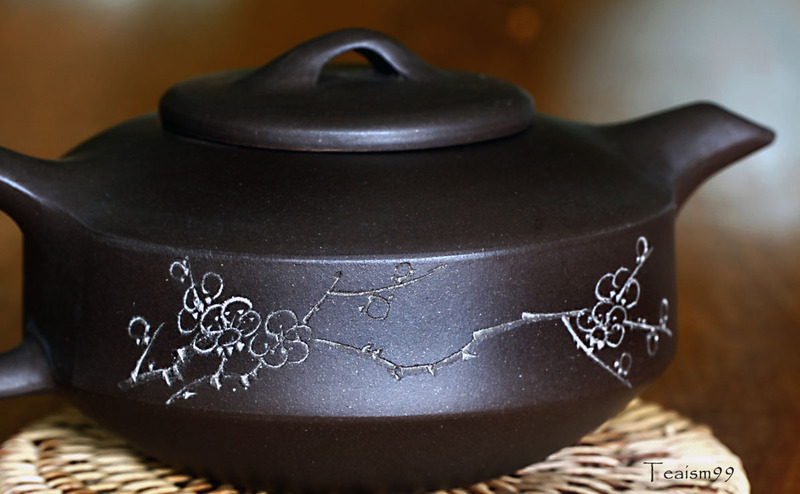 The expression and strokes of the carving on some Yixing teapots and wares always looks so fluid and dynamic. Chazhou Teaboat for Gungfu Style tea brewing. 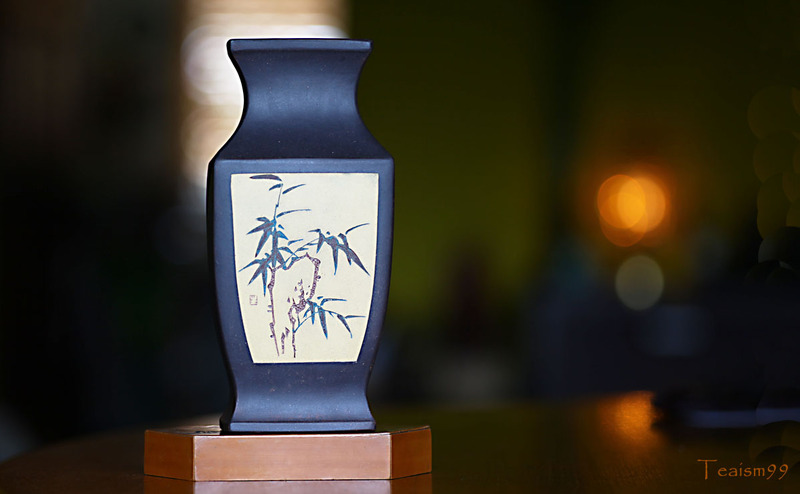 Normally, the carvings on Yixing teapots and wares are done by the potter or specialist carver. The fluid and dynamic strokes of the experienced carver is really very hard to emulate unless one has gone through thousands and thousands of carvings over many years. 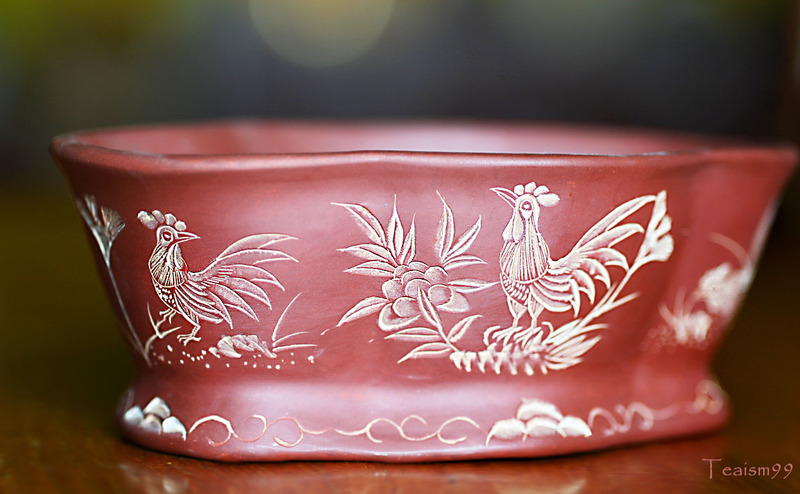 In the cultural revolution period of the 1960-1970s and through to 1990s, many of the carvers were just factory workers in Yixing as teapots were mass produced there by the hundreds of thousands. Usually the production batch consist of some popular theme and the same carver will carved the same theme over and over again by the thousands. 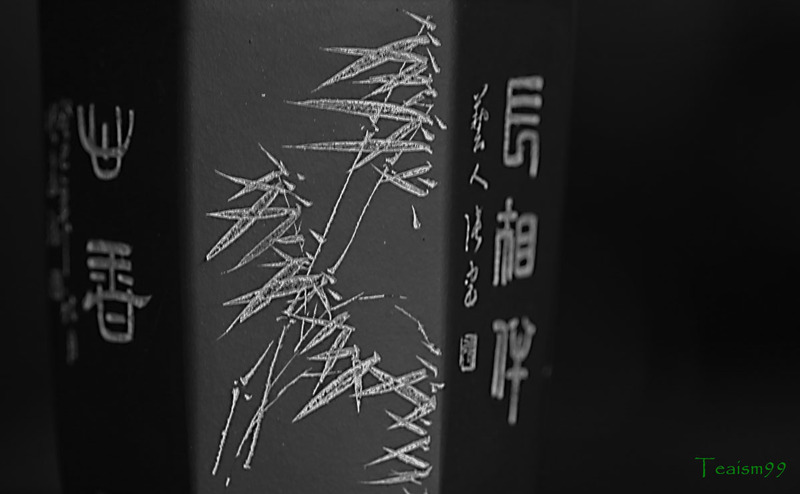 With the huge amount of repetitive carving, the carving knives metamorphosed into a very dynamic fluid strokes and expression, capturing the spirit of the subject. As a result of this very high level of craftsmanship in the carving of older pots and wares, the fluid dynamics of the carving strokes can be used as a tell tale sign for authenticating pots of certain eras. It is really almost impossible to fake such level of carving unless the carver has gone through thousands of carvings over many years. Calligraphy carving on 1970s Yixing teapot. It is such a delight to enjoy the dynamism and fluidity expressions of the carving done by experienced carver. The strokes and rhythm naturally just flow with the spirit, culmunating to a higher and higher level of artistic expression.